2018 has arrived, and your business is in full swing. If 2017 taught us anything, it's that design, or design thinking, helps solve many challenges that usually stagnate a brand's growth. 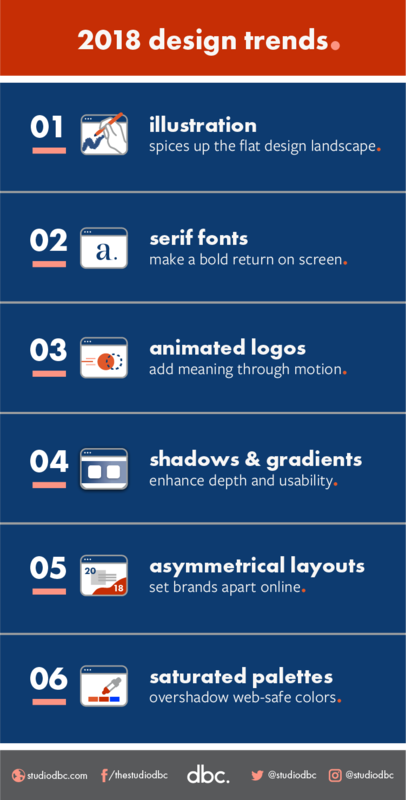 So here are six design trends to look out for this year, and if you're interested in scalable growth for your business, why not try using them too! Need help implementing these trends to your brand? Speak to us today!